FortressOne is a stand-alone QuakeWorld Team Fortress package for Windows and Linux. We're playing regular games on Wednesday and Sunday nights here in Aus / NZ. As of today, the front page of ozfortress.com will no longer be updated with recent ozfortress-related news. This is due to ozfortress.com going down within the next several weeks. The ozfortress front page has been active since the dawn of the site and we are sad to see it go. For all future ozfortress-related news posts and updates, head to Warzone. Welcome back everyone! After the Revival Cup 2018, ozfortress season 23 is upon us, the flagship competitive TF2 event for the Oceanic region returns for the third and final time in 2018. As usual, the league will be run using the highly successful Warzone. Whether you are a hardened veteran of the scene or a newcomer to 6v6 TF2 there will be a place for you in ozfortress season 23 and we hope to see you there! ozfortress season 23 also marks the return of cp_logjam. Logjam was last seen on Australian servers in 2015 and we're excited to see it make its ozfortress seasonal league debut! It will take the place of cp_granary_pro_rc8 in the active map pool. OZF 23 will feature 3 brackets: Premier, Intermediate and Open. Premier will have a round robin group stage while the lower two brackets will consist of a Swiss group stage. All brackets will continue using the Page Playoffs format. Grand Finals for Premier shall be played as a no-advantage best of 5, while Open and Intermediate Grand Finals will be a best of 3. Premier will have 8 teams while Intermediate's bracket size is pending signups. Open will have an unrestricted number of teams. All server booking will continue to be done through ozfortress discord. Simply join the #bookings channel in the ozfortress Discord and type /book and details of your server booking will be PM'd to you. To view more commands, type /help in the #bookings channel. In Warzone, Captains can create Teams using the "Start Team" button on the Teams page. Once created, Captains can invite players to the Team. Team invites are shown on a player's profile, which can be accessed by clicking on your name next to the bell on the top right hand corner of your screen. Teams provide a pool of players that can be signed up for a tournament. Players may be in the pool for multiple teams but only one Roster for any given tournament. Captains may sign up a Roster for tournaments under the League page. If you're new and not sure how to get started, don't fret! Check out the #recruitment section of the ozfortress Discord where you can express your interest in joining a team, or peruse potential players to form a team of your own. Teams are normally comprised of 1 Medic, 1 Demoman, 2 Soldiers and 2 Scouts. If you're new to the competitive scene, click here for an introduction to ozfortress! Please ensure you have enough backups to last the season; teams are allowed a maximum of 10 players rostered for any single tournament. With a host of experienced casters and expert producers, TFLIVE remains your number 1 destination for ozfortress coverage. Catch live coverage on the TFLIVE Twitch channel and find VODs of previous games on the TFLIVE YouTube. 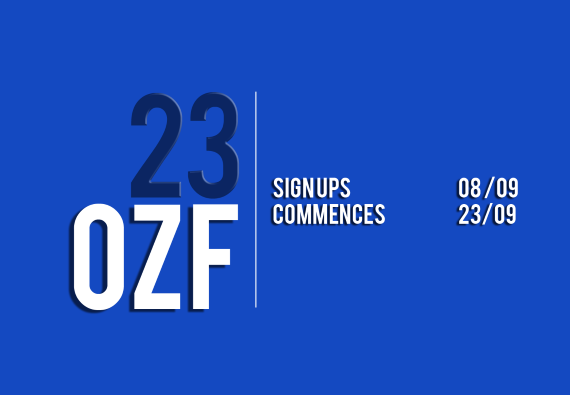 You can sign up for ozfortress season 23 from Saturday the 8th of September up until Wednesday the 19th of September. We aim to have seeding out by the 22nd, with the season starting on the 23rd . This gap between the closing of signups and the start of the season is to give the administration team more time to seed, ozfortress season 23 will begin on Sunday the 23rd of September. Thank you to all teams who played in the ozfortress Revival Cup 2018! It was exciting to see the return of many of our old favourites. Make sure you all stay tuned, OZF 23 is right round the corner! Placements are listed below. Congratulations to all winners! lau restricted from every class but Medic. john the asian restricted from Soldier. For the majority of its existence, ozfortress has been self-sustaining and has never relied on or asked for community donations in order to keep the site and its competitions running. Over the past couple of days however, ozfortress has experienced some hosting issues related to our servers and infrastructure that may cause this to change. The ozfortress game servers for both Team Fortress 2 and Team Fortress Classic are currently located on physical server known as heavy.ozfortress.com that is owned by ozfortress. This server was being kindly hosted by infinite free of change, however now it is looking like this deal will come to an end. ozfortress is still in possession of the physical server for heavy.ozfortress.com, however now we may not have a location to host it. The ozfortress.com site is in a much more dire situation. It is looking extremely likely that ozfortress.com will go down and that the vast majority of history and content on the site will be lost. This is sad news for the community as ozfortress.com contains the history of ozfortress ever since its creation in 2001. A copy of the public areas of the site may still be preserved, however. While this is disheartening news, the forums on Warzone are able to replace the forums on ozfortress.com, so our main priority is getting the game servers back at this stage. In the coming weeks, heavy.ozfortress.com and the game servers may go down, along with ozfortress.com. We are currently working on a fix. If any community member is in willing to help us find a new location to host heavy.ozfortress.com in any way, please contact an ozfortress administrator. It is possible that in order for ozfortress to continue hosting competitons we may need financial assistance from the community. This would potentially allow ozfortress to continue running for years to come. In terms of the immediate future of ozfortress, the Revival Cup 2018 will continue as planned. We will keep the community updated on any developments that occur. 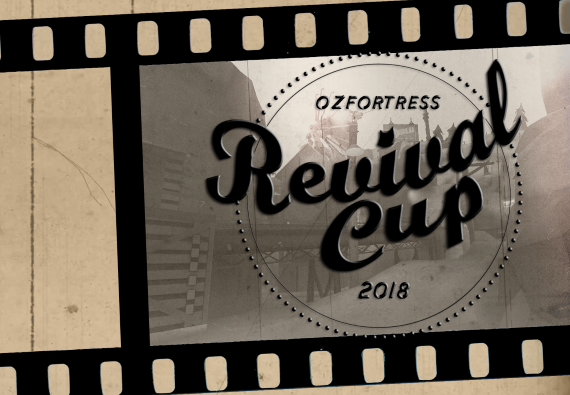 Announcing the ozfortress Revival Cup 2018! Throughout the lifetime of ozfortress, we have seen many maps come and go. While some maps are still being played today nearly ten years on, others have been left to gather dust, until now. The Revival Cup will run as a One Night Cup on the Saturday the 1st of September, with signups opening on the 19th of August. Absent from ozfortress competitions for more than five years, the Revival Cup will see the return of many old and abandoned maps, including cp_yukon, cp_freight, and the infamous cp_gravelpit. It is important to note that while this cup will feature classic maps, it will be played using modern configs and unlocks. The most recent edition of the Global Whitelist will be used, most recently used in OZF 22. The Revival Cup will run using a similar system to our previous One Night Cups. Aiming for a fun and relaxed experience, there will be three brackets - Premier, Intermediate and Open. Premier and Intermediate will have 8 teams while Open will have 16, signups permitting. All brackets will be a single elimination bracket, over a single night. Each match will be a best-of-one with maps being set, using a win-difference of 5 / 30 minutes format. Attack/Defend maps are played to a best of three format. Please make sure you familiarise yourself with cp_gravelpit and its stopwatch format. More information about stopwatch and Attack/Defend can be found here. Ties are not allowed and will be resolved by Golden Cap, in which one extra round is played, and the team that wins that round is declared the winner. If no one caps last at the end of 10 minutes, the team that owns the middle point will be declared the winner. Unfortunately, as this is a One Night Cup, there will be NO badges for this event. As the schedule for this tournament is tight, teams must be ready with at least 5 rostered players in the server by the round start time. If a team is more than FIVE minutes late, your bracket's league administrator MUST be contacted and a forfeit win will be recorded. DO NOT DELAY YOUR MATCH AS A COURTESY TO A LATE TEAM. ONE DELAYED MATCH DELAYS THE WHOLE TOURNAMENT. Note that 5CP matches can go for 40 minutes with a Golden Cap, so this must be followed closely. ozfortress servers will be used for this competition, but they will be distributed by ozfortress League Administrators through Warzone. Be sure to be in the ozfortress Discord for ease of communication. Since there are multiple brackets, all administrators will be separated into respective brackets like the seasonal league. League administrators and their respective brackets will be announced when signups have ended. If you are using an existing team, you do not have to recreate your team again! 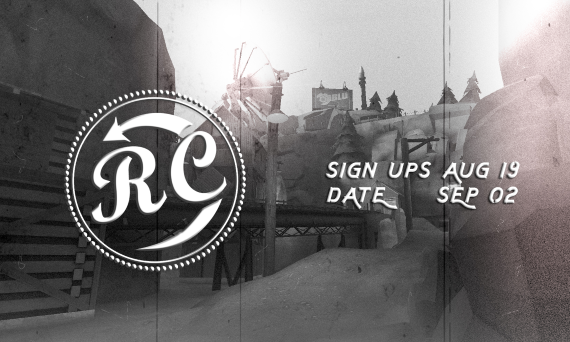 Simply sign up your already-existing team to The Revival Cup and you're ready to play. The ruleset for ozfortress One Night Cups differ slightly from the ruleset used in the regular seasonal leagues. Be sure to have a read of the changes to make sure you are up to date. These have been outlined in the following posts and also in the FAQ. If you're new and not sure how to get started, don't fret! Check out the #recruitment section of the ozfortress Discord where you can express your interest in joining a team, or peruse potential players to form a team of your own. Teams are normally comprised of 1 Medic, 1 Demoman, 2 Soldiers and 2 Scouts. If you're new to the competitive scene, click here for an introduction to ozfortress! Whether you're a veteran or new to the scene, get on a team and come play! Know any older players looking for a nostalgia trip? Or perhaps a new player looking to experience the maps for the first time? Then why not head on over to Warzone and signup today! Signups are open now, right up until Thursday the 30th of August at 11:59 PM! The August poll is here! Like always, we run a poll in between tournaments to see what the community wants. We've put in some key questions that we would like you to answer regarding whitelists, administration, important rule changes and maps. It would be greatly appreciated if you take the time to express your views so we can make ozfortress better! View the poll here ! All times are GMT +11. The time now is 11:12.